This is a busy time of the year for a Southern California scout, as the 2010 MLB Draft comes upon us. I t requires a delicate balance of schedule to see local prospect games and still manage to listen to my son’s game in the Midwest League for the Kansas City Royals organization. This past Tuesday, late afternoon in Southern California, I found myself passing around the house with anticipation of my son’s sixth pitching start for the Burlington Bees. Not sure why, but more than likely it was because of his last outing. The key in professional baseball is being capable of making adjustments during a game, or career. John Lamb made the correct adjustments from his last start, right out of the gate, against the Kane County Cougars on May 4, 2010 in another Midwest League game at the Class A level of professional baseball. I have not counted my son’s pitches for some time now, but I decided to do just that during yesterday’s game in Burlington, IA. The radio broadcast made it fairly easy to stay actively involved by counting his strikes and balls during the contest. It was the second time Lamb has seen the Kane County Cougars line-up and last time on their field he had a pretty good day. Lamb did a fantastic job using 98 pitches through his six innings of work. 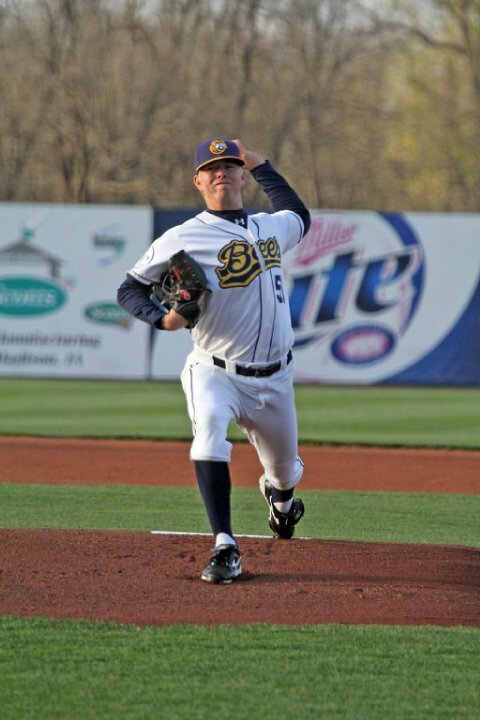 Spreading out 66 strikes and 32 balls out of the strike zone during his sixth performance of the 2010 season in the Midwest League. He had a season high 9 strike outs to go along with the 1 walk, 6 hits and giving up only 1 earned run off the bat of the highly touted Max Stassi, of the Oakland A’s organization. It was great to hear him throw a solid game and give his Burlington Bees team a chance to win. Lamb left the game in the seventh inning trailing 1-0 to the Kane County Cougars. The opposing pitcher for the Cougars was having a good performance in his own right. Aggressive Bees hitters made for early in the count outs throughout the game. Burlington Bees ended up losing in a 13 inning contest to the Kane County Cougars, snapping a three game winning streak going into last nights contest. Again, John Lamb pitched a good game, but really had nothing to show for his efforts except adding to his already sound statistics for the year. Sooner, or later, he will notch a win into his statistics for the Midwest League. For now, it is time to wait for his next start on Sunday for another run of making adjustments.